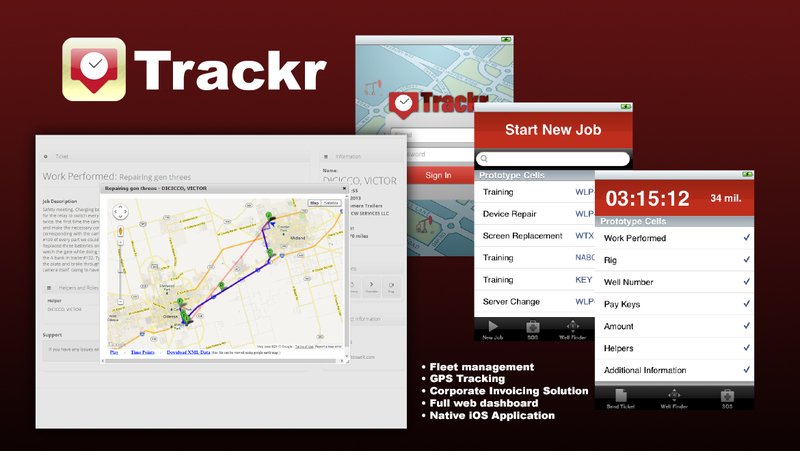 With the Trackr project I were tasked with developing a full featured iPhone application, web server API, and enterprise web application dashboard. The complete system enabled the company to track employees and allow them to send invoices in from the field from their mobile devices. In addition to the mobile component, I also created a web dashboard where management was able to log in, track employees in real time and then approve invoices for payment.